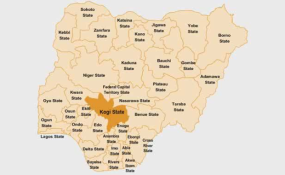 Lokoja — No fewer than 50 people have been confirmed dead in Okunran, Okoloke and Isanlu-Esa communities all in Yagba West Local Government Area of Kogi State following an outbreak of an unidentified disease. Owing to the development, the World Health Organisation (WHO) has sent a medical team to the community to assess the situation. The state Commissioner for Health, Dr. Saka Audu, disclosed this thursday after he visited the affected villages on Wednesday. According to him, the state government was assessing the situation that had claimed the lives of so many people in the villages to determine the cause of deaths and then quickly address it. "As part of the policies of this government, irrespective of the remote location of the communities, we must make sure that we take health care to the door steps of the rural dwellers. "We want to reassure them that the government is with them, and whatever happens, we will take full responsibility of those who are already healed and to make sure that we arrest the spread of this unknown disease. "For now, it is clear and has been confirmed that it is not Lassa fever, but whatever it is, we will carry out further investigation with the information we have and come up with a definitive diagnosis," he said. The commissioner stressed that the information on the outbreak of the strange disease got to his ministry last week and they immediately sent a technical team to take the samples which were sent to the General Hospital in Irua, Edo State, for lab tests. "We are going further to find out what the real cause may be; we don't know what it is currently, but all hands are on deck to make sure that we find out the definitive cause of the mysterious deaths among these children," he added. Also speaking, a Consultant at Evangelical Church of West Africa (ECWA) Hospital in Egbe, Dr. Jannette Hathorn, said a child of two and half years was brought to the hospital but later died after 12 hours. "We had definitely had misleading news about patients bleeding, so we tried to diagnose for viral hemorrhagic fever (Lassa fever), but the lab results came out negative. "We are sure it is not Lassa fever, but on the other hand, our concern is that we do not know exactly the cause of what was happening. We had differences but we never came to a definitive diagnosis. Two other adult patients were also brought in; one presented with ulcer-viral illness but there was no bleeding component of any hemorrhagic symptom. "We isolated them and both were treated for malaria. So, when they started improving, we let them go. But our concern was a couple who brought their child to the hospital and pleaded with us for help that about 40 to 50 people had died in their villages with similar symptoms as their child in the last three weeks. "So, we called the World Health Organisation and our local state officials, who came after the child had died yesterday to take the samples. We must know exactly what we are dealing with," she said. The traditional ruler of the community, Oba Joshua Ogunyanda, in the company of the commissioner, expressed his appreciation for coming to see them in spite of the difficulty in getting to their communities and the neighbouring Fulani settlements. He said the outbreak started over three weeks ago and they immediately alerted the local government administrator to come to their aid. Also reacting, the leader of the Fulani settlement, Damina Ibrahim, told journalists that the outbreak started about three weeks ago and mostly children and adults were affected.